We love our dogs. But some of the very things that we love most about them can also make them filthy little hairballs. How many times have you looked out your window only to find your canine companion frolicking in the mud and grass like a fool? Moreover, you've definitely never seen your pet head inside from these activities to indulge in a long, hot shower. This makes it essential for us to clean our dogs and to bathe them. Although it's certainly helpful to do this by yourself, it's always best to leave dog grooming to professionals. Following are several reasons why hiring dog grooming professionals are the right way to go. Occasionally bathing your dog at home is not enough. Every time your pet comes inside, small microbes are being tracked all throughout your home. In almost no time at all, your entire living environment can turn into an absolute mess. The many thousands of germs that the average dog is tracking into the home each day is greatly increased if you happen to live in a rural area. In this case, there's always going to be an abundance of plant life and germs for your pet to track into the living area. Now think about your kids playing with and petting your dog after he's accumulated several weeks of built-up germs from simply playing outdoors. Much like you imagine, this is hardly healthy: dog grooming services from professionals will limit the risks associated with having outdoor allergens and germs get tracked into the home by your dog. But in addition to being all-around better for your health, a dog that is well-groomed is going to be better-behaved as well. Dogs that are clean are more acclimated to touch, and they also have a much lower likelihood of having painful sores and other sources of discomfort; which translates as a cuddly and ultimately happy bet. When grooming your dog, you have to do more than simply give him a bath. You have to hire professionals. There are many different benefits that professional dog groomers can supply that far exceed what you're able to accomplish on your own at home. Beyond styling your pet, you can also have these professionals perform a heavy-duty bath which includes a good shampoo and coat conditioning. Add to these things services such as full-body inspections, nail cutting, and drying, and you can see why dog grooming services from professionals are so very helpful. More importantly, the baths that you give your dog at home will not effectively combat all of the serious medical issues that are caused by uncleanliness. 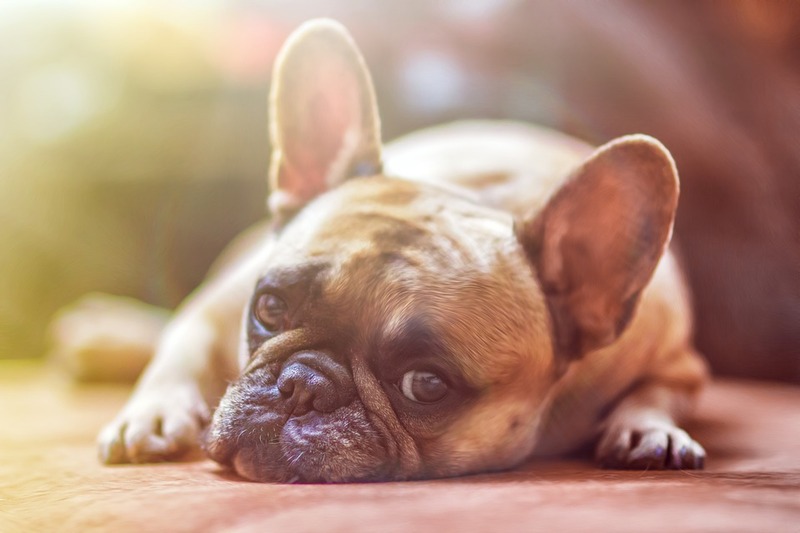 Professionals know just how serious the health issues faced by unclean dogs can be. Hiring professional dog groomers will make it a lot easier for you to keep your pet healthy and happy. Gracie is the newest graduate of our Puppy Groom Package, and was a star for her first full body haircut! You may need to find a good dog groomer if your pooch is beginning to look just a little too shaggy. However, you will need to do some research and find a good dog grooming establishment that you feel you can trust, as you will be leaving your dog in their care for a few hours while the groomer goes to work with clippers and shears. Your comfort level in handling the task of grooming your dog yourself will play a big part in determining whether you need to use the services of a groomer, as well as the type of dog you have. It is fairly easy to carry out basic brushing, combing, and bathing as well as trim your dog's nails and clean his ears yourself. You will have to have plenty of patience as well as the time in which to carry out your grooming, and of course, you will need to buy some basic tools, such as a brush for removing tangles, and clippers. Many dogs won't sit still for dog grooming, so having a second person around to help can be useful too. And you can probably still groom your dog even if he is one of those long-haired breeds or he has a thick coat that becomes matted easily. However, you may need to hire a professional dog groomer if you just don't have the time or patience, or your dog needs more complex procedures, such as a haircut or his fur. Your dog may fear the grooming process if you don't do the job properly, and it's also easy to accidentally hurt him if you aren't comfortable with the task. Your vet probably knows some reputable local dog groomers, and you can also ask your dog trainer to recommend someone, or of course check with any friends or family who own a dog and perhaps use a groomer regularly. Your local Better Business Bureau is a good resource to find out who you should work with. The BBB will be able to advise you if any of the dog groomers on your list have had any complaints brought against them. Of course, the Internet has also become a useful tool, and before deciding on a dog groomer, you may want to look at reviews and comments about local grooming companies from customers. Call the dog groomer once you feel you have identified one that you would like to use. Most puppy grooming companies don't mind giving you a brief tour of their facility, and that's also a good opportunity to ask any questions you have, as well as asking to see references from existing customers and the grooming facility's medical and vaccination records for each of their four-legged customers. Ask about breaks for play and to use the bathroom, the qualifications of the staff, and whether pets are sitting under a hot blow-dryer are regularly monitored. And check out the facility too; whether it seems clean, efficiently run, well organized, and whether the cages allow your dog enough room. In short, is it somewhere you feel comfortable taking your dog? Dog grooming can be more complicated than we initially expect. For example, some dogs can get snappy and will often bite their groomers when they are being groomed. For example, grooming a dog goes beyond merely brushing hair and grooming nails, it requires understanding some of these tendencies (like biting) and handling them appropriately. Below, we take a closer look at all the things you will need to groom your dog. Yes, dogs tend to be irritated of the possibility of being groomed. Therefore, the first step to help you groom a dog is to understand how dogs think and operate. This will allow you to groom your dog without triggering anxiety and fears that may be expected thanks to being hurt before by a groomer who perhaps brushed too hard or cut nails too low. Consequently, the pup will bite to let you know he/she has a history with poor groomers. Some spots are better for grooming than others. The best spot in the home for grooming your dog is one that allows your pup to get distracted while you groom him or her. For example, perhaps you could choose a spot by a window that allows the pup to look outdoors or maybe a spot facing the TV for pups who love television. Before grooming your pup, make sure he/she has a bathroom break and some light exercise. A quick walk outdoors and the opportunity to have your pup do its business will help to release some anxiety and tension so that your pup can relax more during the grooming session. As you groom a dog, that dog will respond to your every action. Your pup is no different. As such, as you groom your dog, be sure to pay attention to how he is behaving throughout the process. These behaviors will serve as cues. Also, be sure to give your pup praises and treats whenever he is behaving well during the grooming session to encourage that kind of behavior. Actively engaging with your pup while you groom him or she will help to promote positive responses throughout the dog grooming session. While your pup may not be able to respond in the way a human can, your pup will respond positively to encouraging and happy tones in your voice. Therefore, speak to your pup in a happy, calm, and positive tone, using plenty of praise. Of course, dogs love to play. As such, your dog grooming session should be injected with as much fun as is possible. The more fun you make the entire process, the more relaxed your pup is likely to be during grooming. Be sure to keep grooming sessions short when just starting out so that your puppy can become acclimatized to the process. Additionally, be sure to add frequent enough breaks so that your pup can go outside and stretch its legs. This is particularly important when the pup is younger and have a shorter attention span in addition to just getting used to being groomed. Sooner, rather than later, your pup will be able to enjoy an entire pet grooming session in one go.